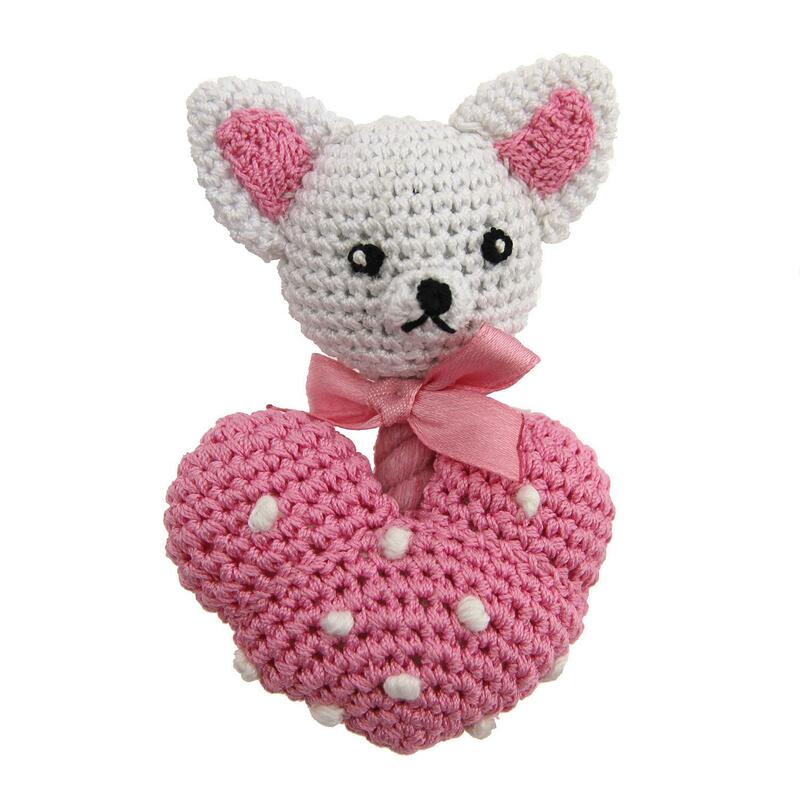 Your pup will love playing with the Chihuahua Heart Crochet Dog Toy by Hello Doggie! 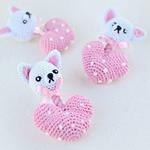 Handmade with closely interlaced cotton tread, the Chihuahua Heart squeaky is designed to be flexible, durable, and improves dental health by removing deposits of calculus. 100% organic cotton crochet toys. Durable toy with natural flossing feature. Natural dyes used. Add all that with a squeaky inside means to hours of fun! The small size of this dental dog toy makes it ideal for puppies and toy breeds! Posted On 12/09/18 by Ronda from Mansfield, OH Yes, Ronda recommends this product! I waited a long time to get that message saying this was back in stock ... I pounced on it immediately for fear it would sell out quickly and it is adorable! Absolutely, pawsitively ADORRRRABLE! I didn't get this as a toy for Paisley, it was a toy for me to add to my Chihuahua collectibles and it's a good thing - it's too small TO let her play with. It's a great collectible for any Chi owner or lover, though. Very, VERY well made - the picture really doesn't do it justice only because it's even cuter in person and well worth the price! I'm only giving this 4 stars because I can tell just by looking at it that our boy will destroy it within minutes... but to be honest, I didn't order it with the intention of any of our 5 Chihuahuas getting ahold of it! It is so cute, I couldn't resist ordering it just because! Baxter Boo it a wonderful site and their products are great.